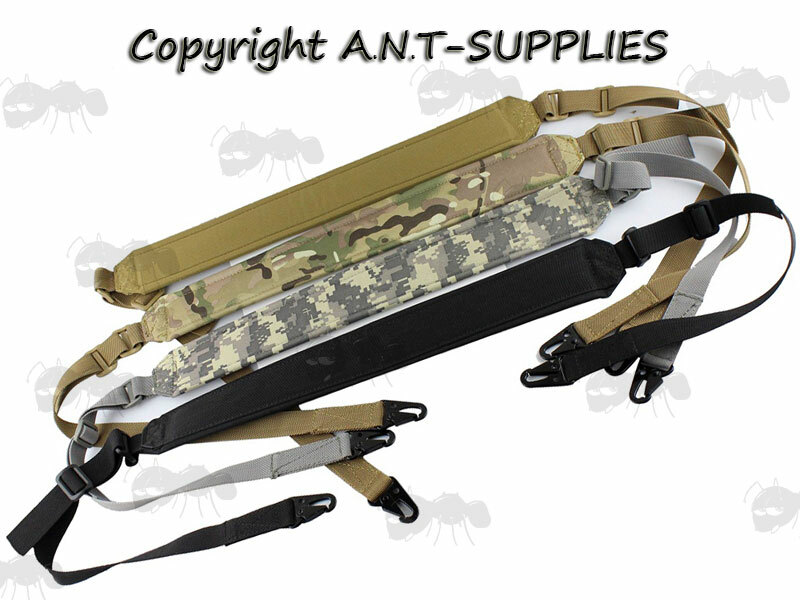 Two point 1" / 25mm wide rifle sling with a large shoulder pad. 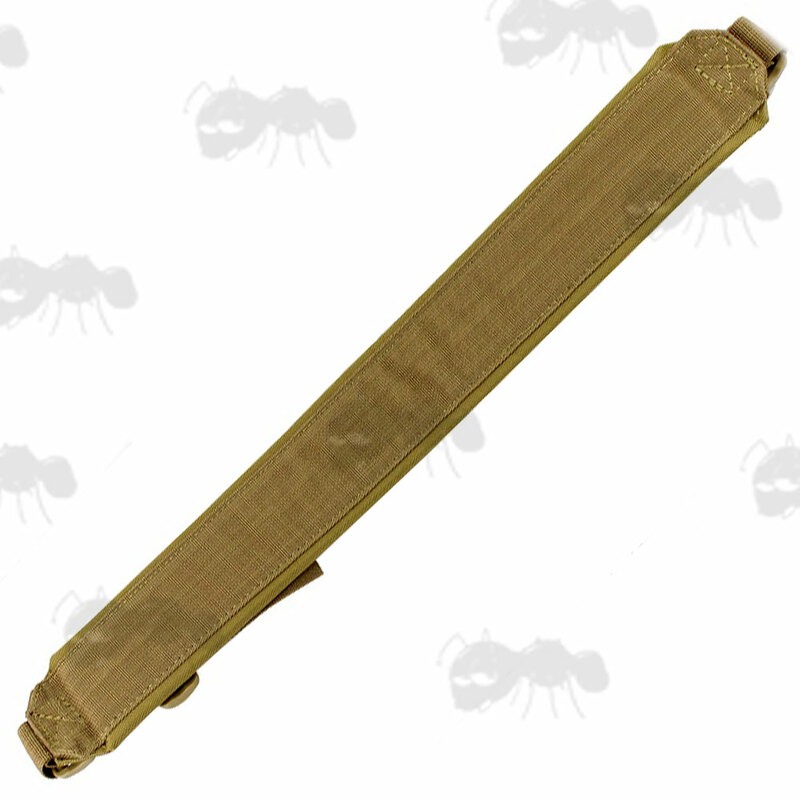 2 3/8 inch wide x 16 inches long (60mm x 410mm) shoulder pad. Adjusts from 31 to 63 inches long (79cm to 160cm). Quick release spring-loaded metal snap fittings.